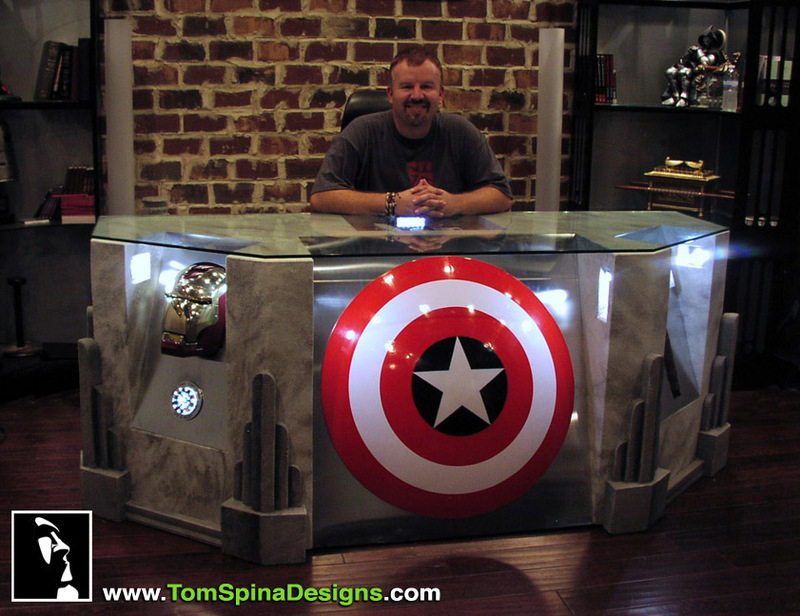 The Avengers Desk – because even superheroes need someplace to work! 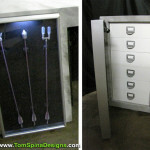 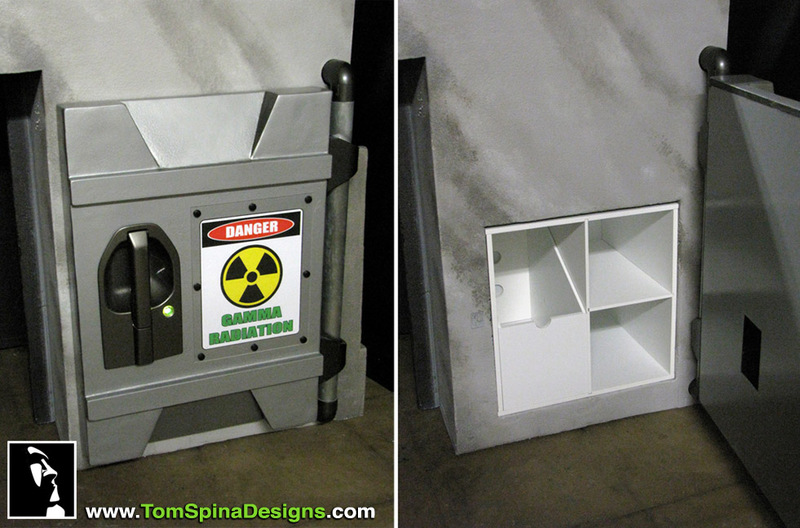 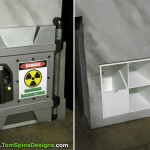 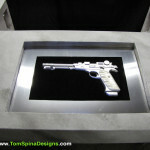 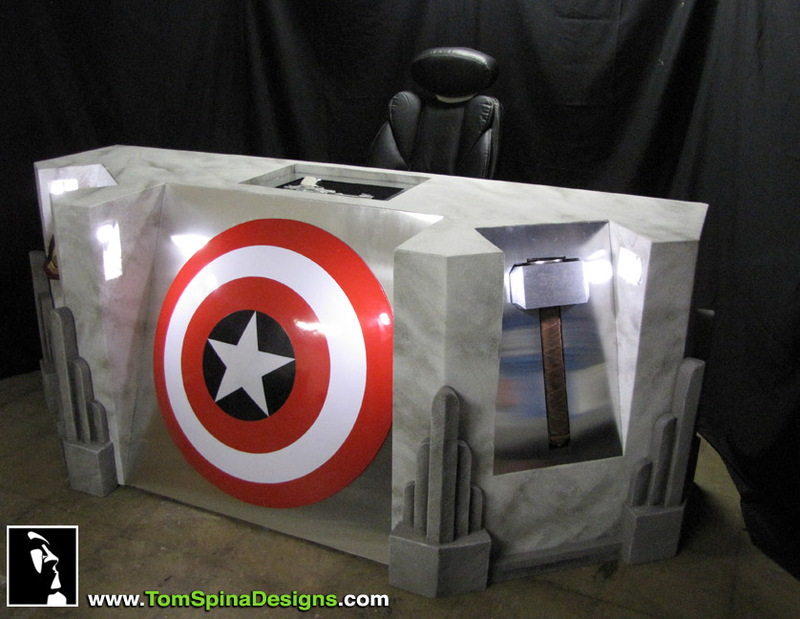 What better way to display licensed movie prop replicas than with a custom made Avengers desk for your office? 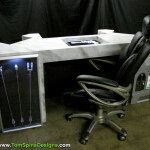 Ever since our now infamous viral sensation, the “Han Carbonite Desk,” which we created for Grammy winning recording artist, Mark Hall, we’ve become known for our unique, sculptural take on everyday furniture. 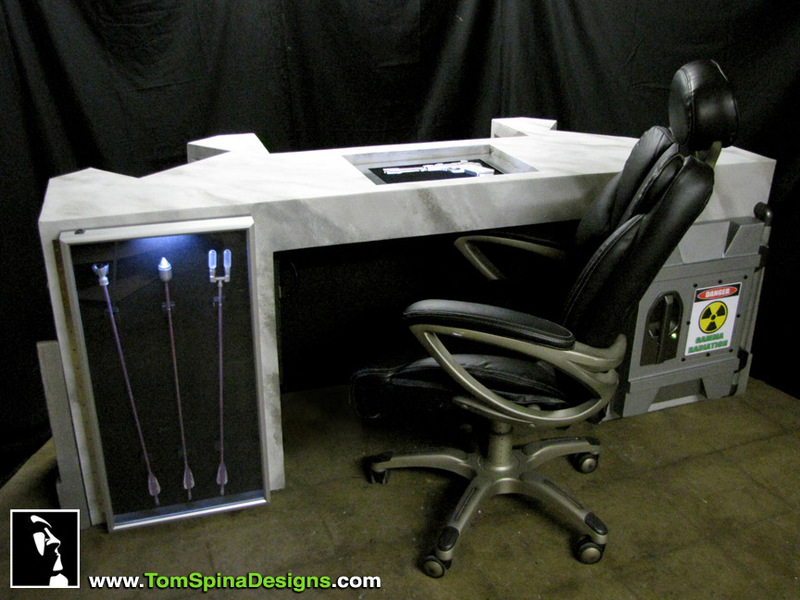 When Mark auctioned the one-of-a-kind Han Solo desk for charity, raising over $10,000, he found himself in need of a new place to do his work. 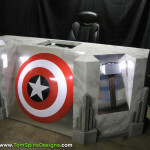 He also needed a home for a handful of amazing fully licensed replica movie props based on Marvel’s movie heroes, The Avengers. 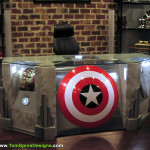 The result is a custom desk fit for a superhero! 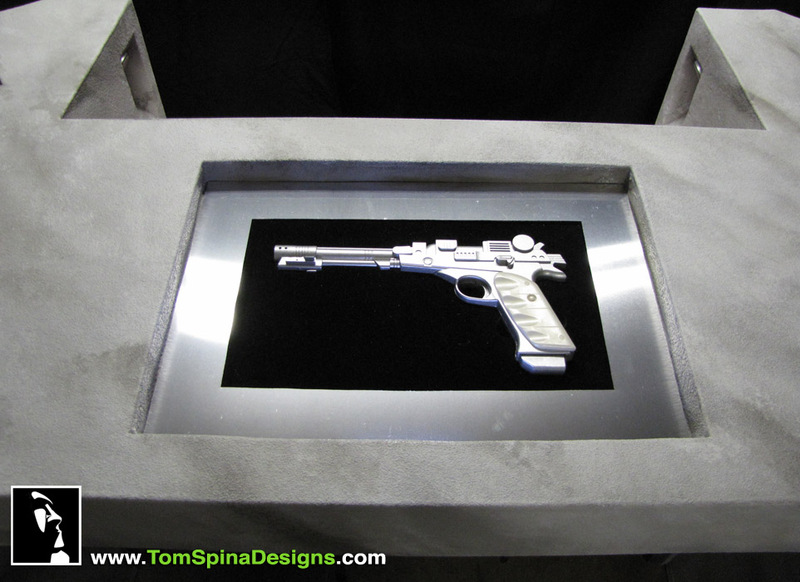 The piece was created like a faux stone prop and incorporates Mark’s collection of comic book movie weapons like his Thor’s Hammer and Captain America’s shield by our friends at EFX Collectibles. 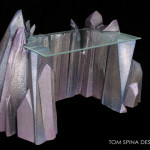 We love to blur the line between props and furniture and we created a mix of display space, work space and simply art. 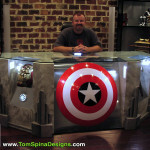 The final superhero desk is a unique combination of display and function, crafted from wood and foam, complete with glass top, decorative metal panels, accent lights and even hidden compartments! 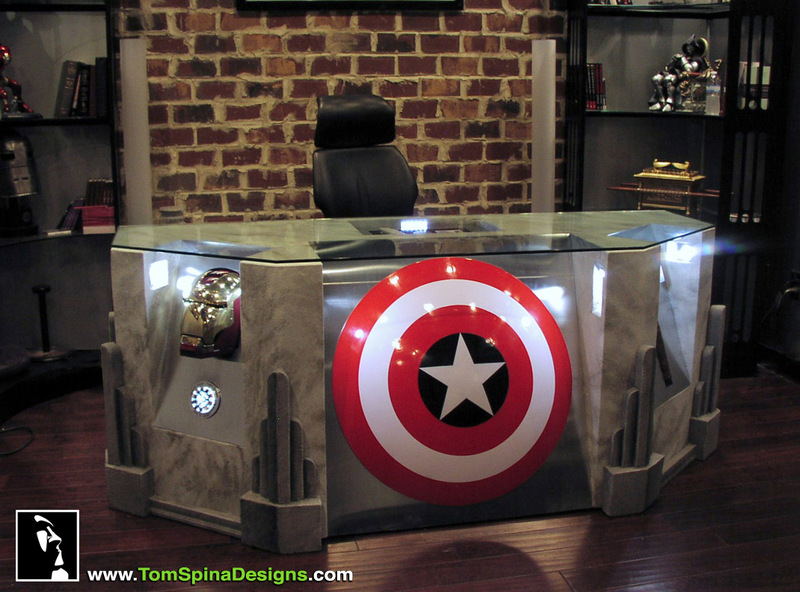 Throughout the desk, you’ll find props and nods to characters like Thor, Iron Man and Captain America, Hawkeye, the Hulk and even Nick Fury. 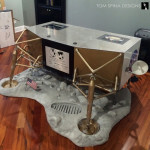 Update – as planned, this one of a kind piece of furniture art was also auctioned off by Mark for charity in 2012, raising thousands to help children around the world via the World Vision Charity. 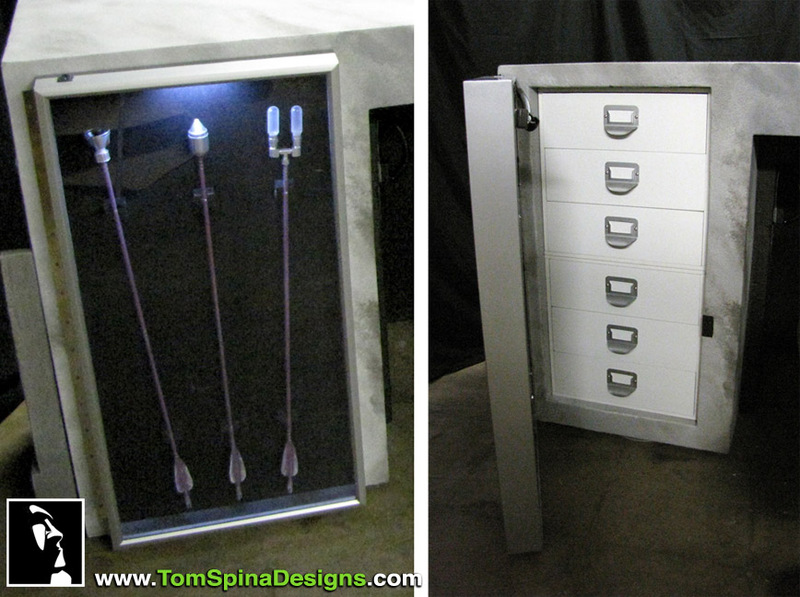 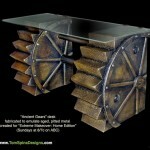 Are you looking for one of a kind superhero inspired custom furniture? 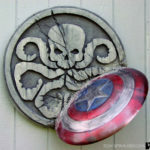 Was the Avengers Marvel's best movie so far? 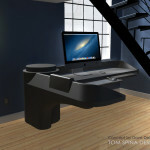 Check out this video about this project!